More than a year after the City of Cambridge formally began planning its construction, a new stand-alone public toilet in Harvard Square is finally close to flushing. According to Kathy Watkins, the assistant commissioner of engineering for Cambridge’s Department of Public Works, the toilet now only needs electricity to be installed, which she anticipates will take place in the next couple of weeks. 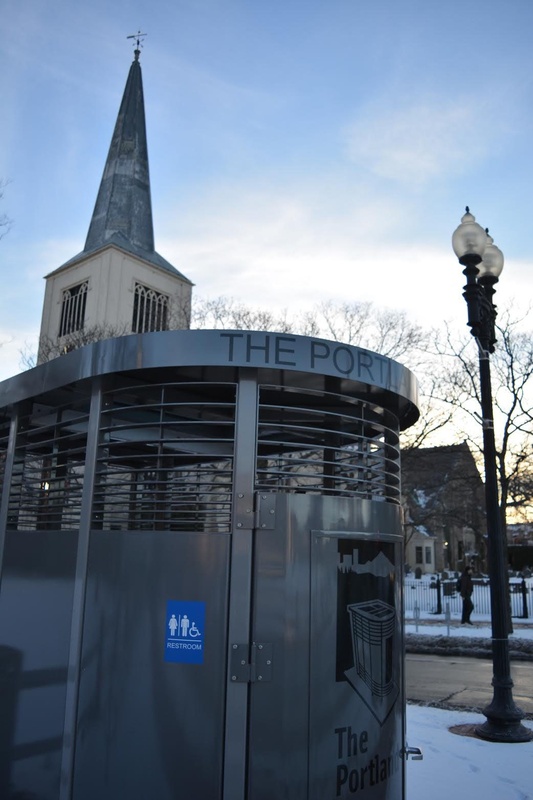 Located in General MacArthur Park between Harvard Yard and the Old Burying Ground along Massachusetts Avenue, the opening of the public toilet comes after years of discourse between Cambridge residents and city officials. The Cambridge Department of Public Works anticipates that a stand-alone public toilet in Harvard Square will be complete in the next few weeks. The toilet’s structure is modeled after the Portland Loo, a public toilet originating in Portland, Ore., because of its sleek stainless steel design, its track record of holding up well in cities with similar weather, and its maintainability, Watkins said. The movement for a public toilet in Harvard Square first rose to prominence in the spring of 2013, after several Cambridge-area religious organizations and the Harvard Square Business Association started Advocates for a Common Toilet, a group to petition for the construction of a permanent public toilet in the Square. The city announced plans for the toilet in 2014 and at the time, expected construction to be completed that fall or early in the spring of 2015. However, delays delivering structures and coordinating utilities pushed the toilet’s opening more than a year off schedule, according to the Cambridge Department of Public Works website. The impending opening may come as welcome news to Cambridge students and residents. A report presented by the Cambridge’s Public Toilets Working Group in February of 2014 found that 79 percent of 716 respondents chose Harvard Square, among other options including Kendall and Central Square, as the area where they have experienced the greatest need for public toilets. Others are nonetheless skeptical that one toilet will be enough to alleviate the full need for public restrooms in Harvard Square. —Staff writer Junina Furigay can be reached at junina.furigay@thecrimson.com.